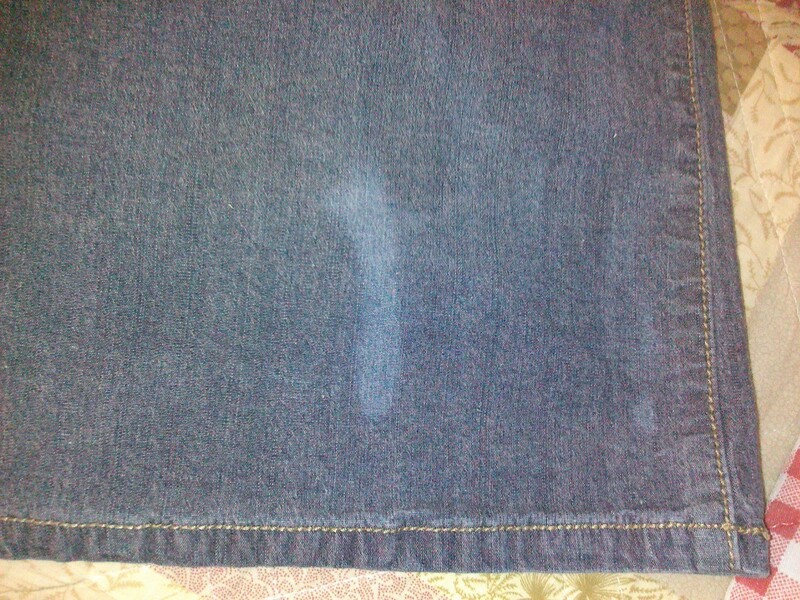 The stain got on my jean skirt. It's light, but I would like to fix it. It's a light jean skirt. Thank you. 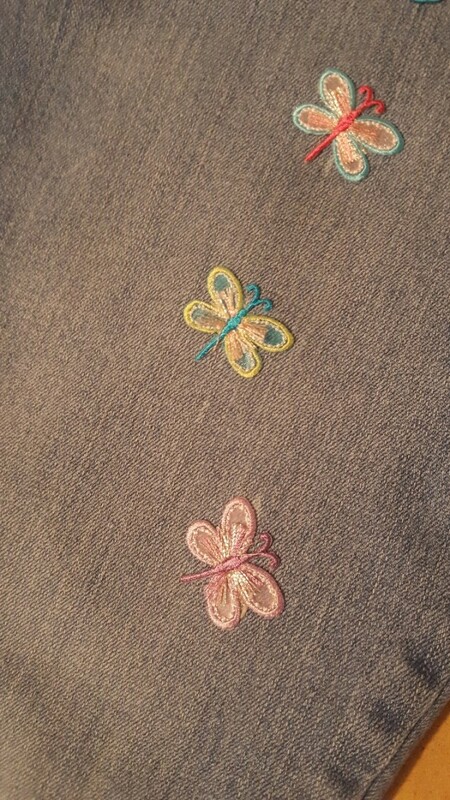 I use fabric marking pins to color the bleach spots hope this helps you . 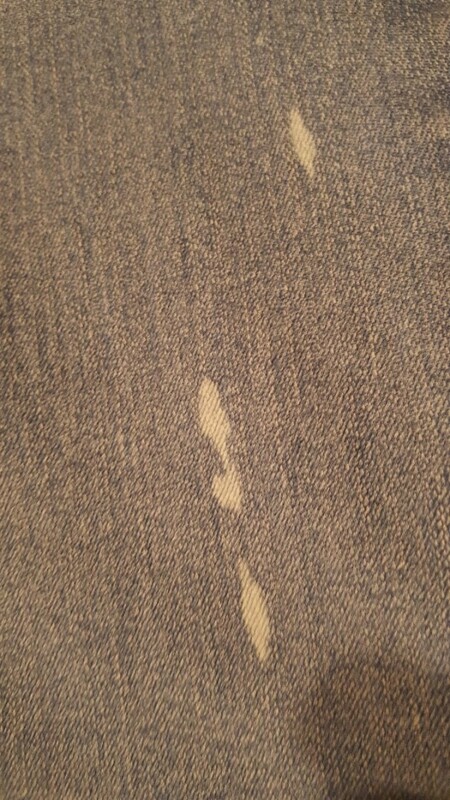 If this is from bleach, it is not a stain, but the bleach has removed the colour. It is very difficult to do anything with it. I have, on tiny, tiny spots, used permanent marker to blend in the colour, but I fear this is too big a spot for that treatment. Some people apply embroidered patches or something similar over the spot to cover it. I don't know of anything else.